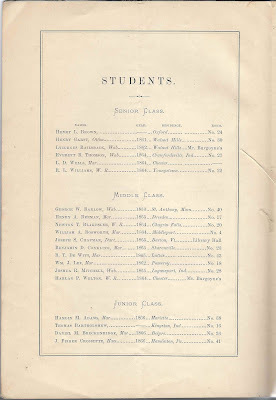 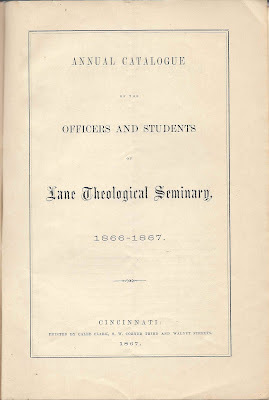 1862-1863 Catalogue of the Officers and Students of Lane Theological Seminary, printed at Cincinnati, Ohio by Caleb Clark, S. W. Corner Third and Walnut Streets, 1867 [perhaps a second printing for the spring term?]. 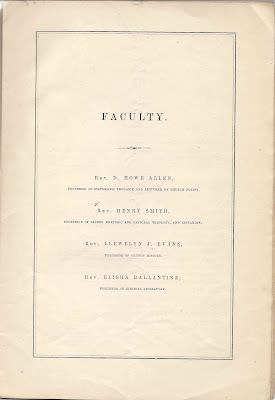 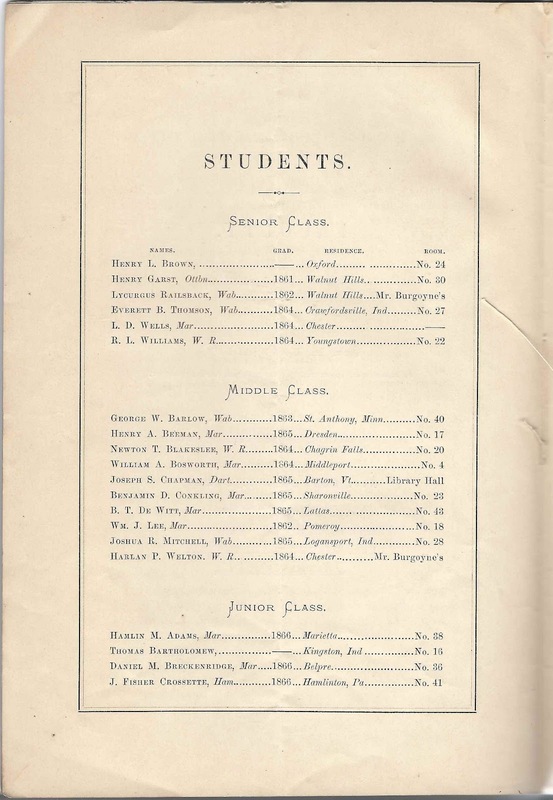 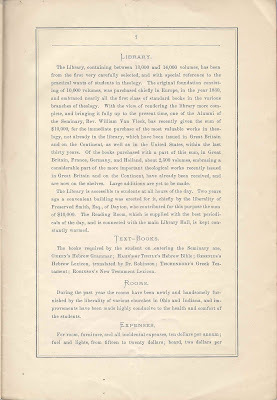 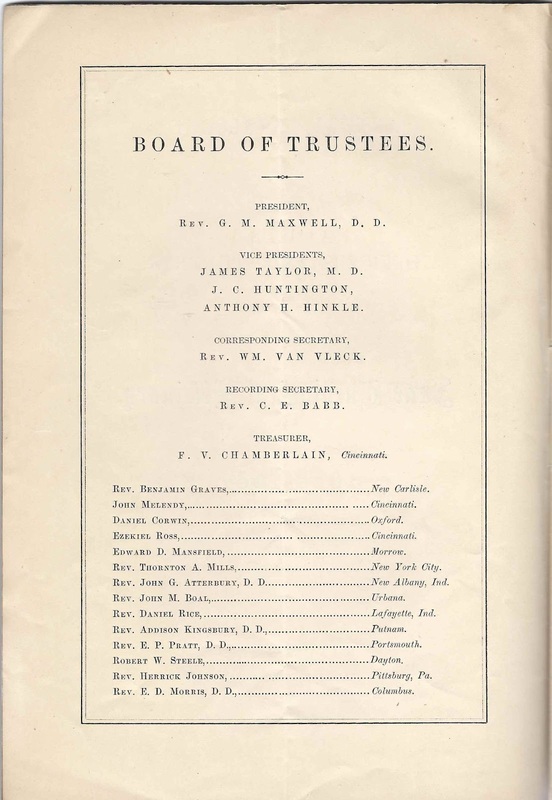 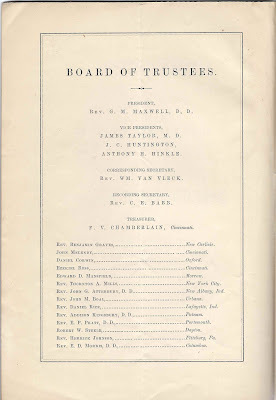 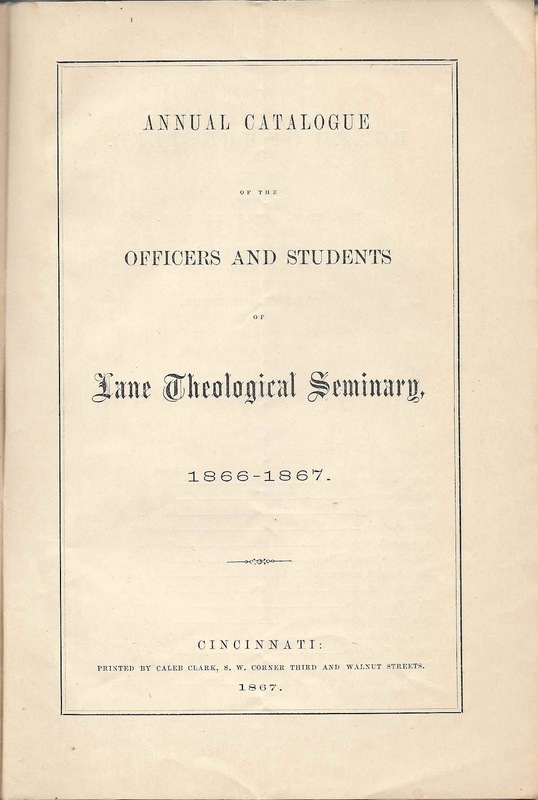 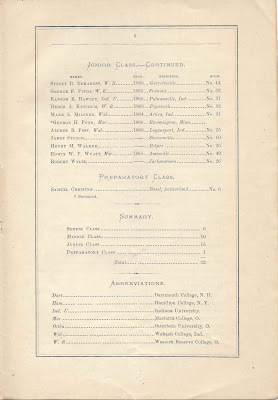 See another post that features the 1862-63 catalog of Lane Theological Seminary. 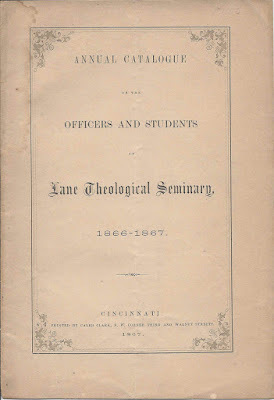 Read about Lane Theological Seminary on wikipedia. 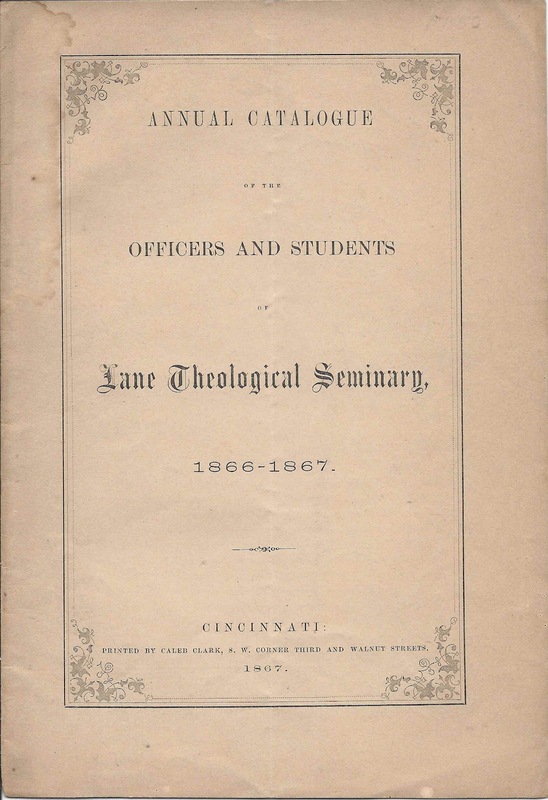 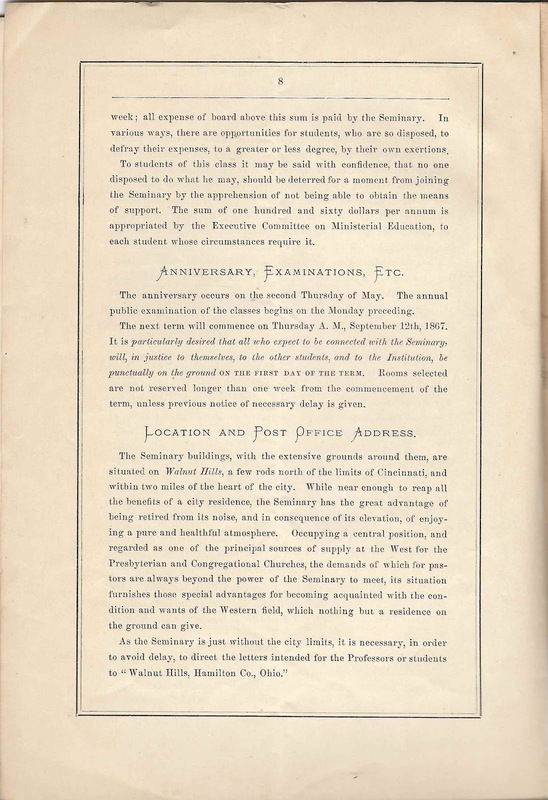 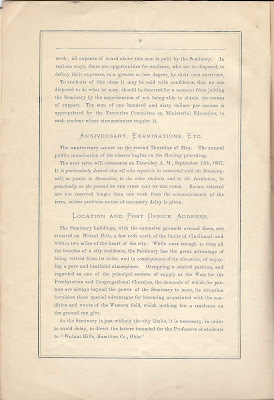 In the catalog, Lane Theological Seminary's location, Walnut Hills, was described as "a few rods north of the limits of Cincinnati, and within two miles of the heart of the city". 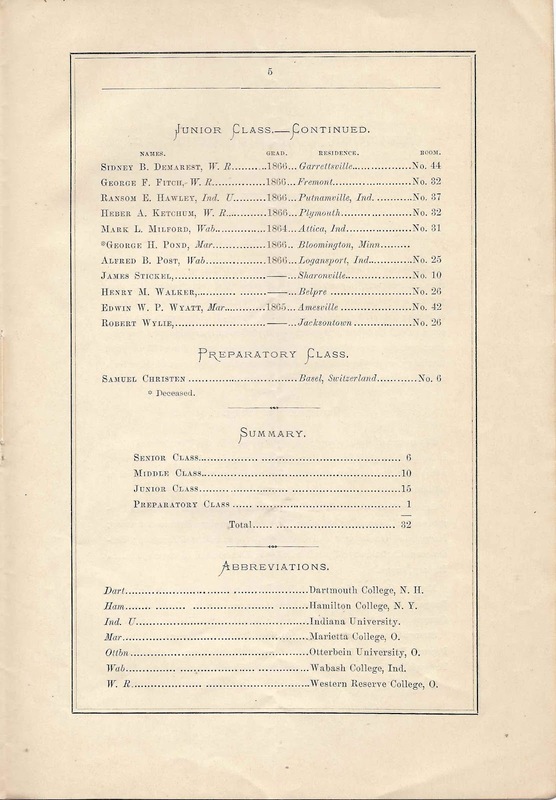 The catalogue is a booklet composed of an outside cover and eight pages and measures approximately 8-3/4" x 6". 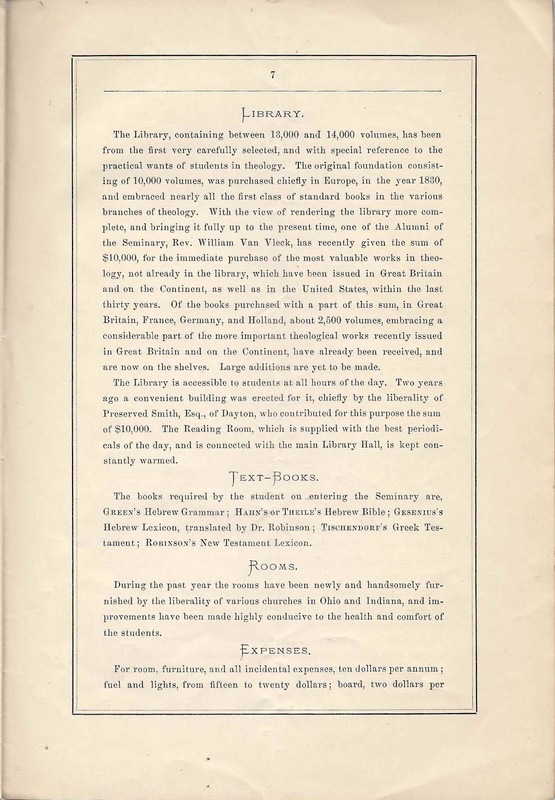 The title page, below, is a replica of the front cover. 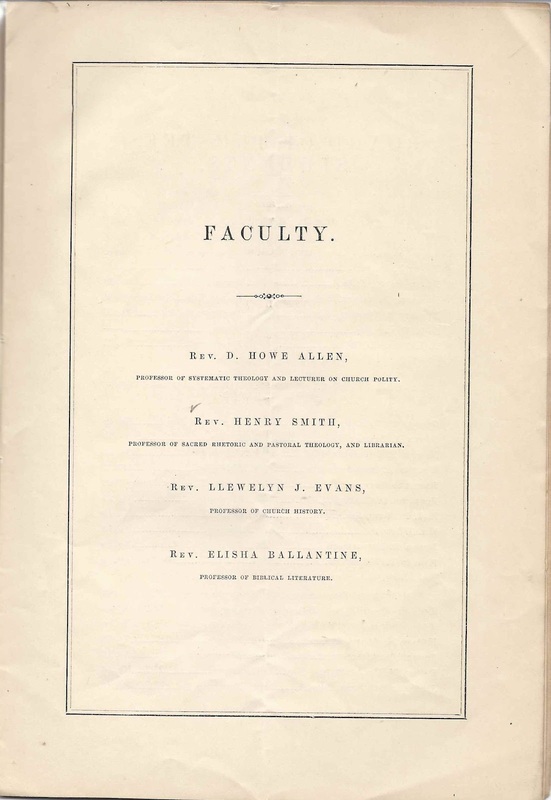 President, Rev. 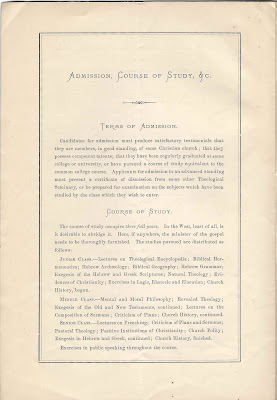 G. M. Maxwell, D. D.